Version 4 SQL - When will it be released? As many of you know, we are overdue for our release of Version 4 SQL. Lately we have a daily stream of phone calls and emails from customers asking when it will be out. To summarize (and not give you all the specifics of the last minute challenges of a major new software release), it appears that we need another 8 weeks, putting the release date into the month of April. It's not the news many of you been hoping for, but we need the extra time to ensure all the bugs are squashed and the installation/update process is smooth and fast. I would rather you wait a while longer and have a very positive experience, than rush something to you that isn't quite ready. You being understanding of this is really appreciated not just by myself, but by our programming team and everyone on our technical support crew. As we get closer to the release of our Version 4 SQL upgrade, I wanted to review five items that you will need to know about and understand before installation. From back in the days of DOS (before Windows), our software provided for something called "simple security". In essence, to log in, all you needed was a password. The password you entered would determine which system features you were allowed or not allowed to access. The default password at that time was "MASTER", and we've found that through the years, many of our customers kept that password without disabling or changing it. Starting in version 2 of entree, we introduced "advanced security", where each user would have both a username and password defined. However, we provided the option in both version 2 and version 3 to keep the "simple security" in place. In version 4 of entree, you must now use "advanced security". There are many reasons for this, with the most important being that Sybase SQL requires it. And it goes without saying that it provides a level of security that is up to par with modern standards. So before you install version 4, you MUST enable "advanced security" if you are not already using it. You accomplish this by going into the "Security Management" feature of version 2 or 3 of entree, and checking the "Enable Advanced Mode" at the bottom of the screen. As you will then need to define usernames and passwords for each person with access to entree, you will want to gather that information first before proceeding. Currently entree supports invoice numbers up to 6 digits in size, or an invoice number up to 999,999. For many of our customers, this size is no longer sufficient, so we have expanded the invoice number to 7 digits, allowing the number to go just short of ten million or 9,999,999. Note that commas are not used. The reason this is being noted is that you may have an invoice or statement form that has a restricted area for the invoice number. Please check both your invoice and statement forms and let NECS know ASAP if this will be an issue for you, so we can advise you with how to proceed. Otherwise, you might find that part of the invoice number (and sometimes the "revision letter") is printing over a line on your form, or running into another column. If you are using a laser based form, we can help you programmatically make the adjustment. If you are using pre-printed forms, another solution, until you order new forms, will need to be put into place. Also remember that this will only be a factor once your invoice numbers cycle past 999,999. 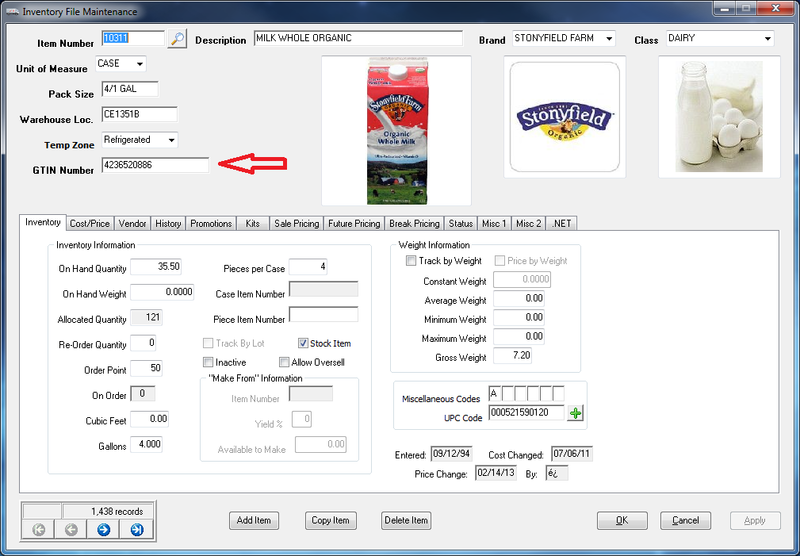 The entree software allows you to store JPEG files for such things as item images, brand logos, class images, and customer logos. If you use the entree.DOC software, then each of your scanned documents, such as signed invoices are stored as TIFF files. Up to version 4, these image files and scanned documents were stored as independant files on your server, with entree managing the storage locations of these files. In other words, if you had images for 1,000 different items, you would have a directory on your server where each of these 1,000 different JPEG files were kept. The same goes for your entree.DOC scanned documents. Each scanned document would have have a unique TIFF file stored on your server. So if you had tens of thousands of scanned documents, you would have tens of thousands of TIFF files stored on your server. 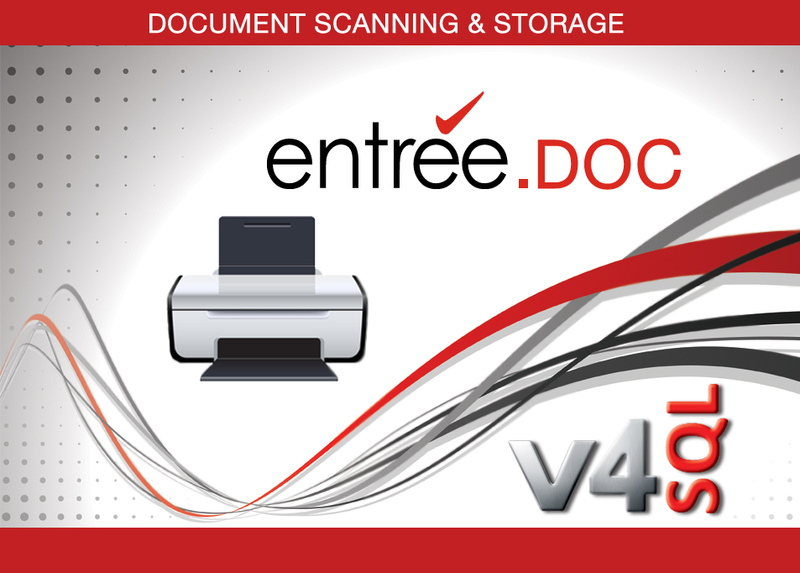 Version 4 of entree now stores your images and scanned documents directly within your SQL files. This not only streamlines and makes the storage of these images and documents more efficent, but provides another important advantage related to the Sybase Replication Server option for your SQL files. The Sybase Replication Server is software which automatically backs up all your entree SQL data files to one or more servers in the background. This other server can be located anywhere on your local network or anywhere on the Internet. It provides an excellent option if you want to ensure that you have as little to zero downtime as possible. If your main server should go down for any reason (hard drive crash, motherboard malfunctions, someone pulls the power cord, etc. ), the "replication" server automatically and immediately kicks in. So if your users were in the middle of creating invoices, and your main server dies, they would continue like nothing happened. When your main server comes back online, the "replication" software automatically restores your main server with the new data on the replicated server. Once this is complete, your main server again takes over. The reason this is important for these images and scanned documents, is because the replication software only works with Sybase SQL data files. So if the images and scanned documents remained independant files, they would never be included. Therefore, making your image data and scanned documents part of your SQL data files provides the benefits of not only more efficient storage, but ensures they are included when the Sybase Replication Server is in use. If you are unfamiliar with the GTIN or Global Trade Item Number for your items, it's something that you will be hearing more and more about. It's also now part of version 4's Inventory File Maintenance, as we continue to enhance our software to provide you with the latest developments for food distribution. Below is a screen shot of Inventory File Maintenance from version 4, with a red arrow next to the new GTIN field. Note that this screen shot is preliminary and will be further enhanced before the release of version 4. The GTIN field is similar in concept to a UPC code. It basically represents a unique item number that is globally understood to represent that product. While UPC codes were developed for retail sales, the GTIN was developed for food service. If you are wondering why this is so special, here is the short answer: When each of your items have the proper GTIN assigned, you then can obtain a wealth of information about that item from the manufacturer. This includes item images, nutritional information, recipes, allergen statements, detailed shipping and pallet specifications, and other detailed information from the manufacturer. In essence, you will have all the information normally found in product brochures at your fingertips in both the main entree software on your desktop, on your DSR's iPad using our ELECTRONIC ORDER PAD app and to your customers via our online ordering system called entree.NET. All of the detailed GTIN information is kept in whats called the GS1 Global Data Synchronisation Network (GDSN) database, which you also need access to. GS1 (Global Standards One) is an international non-profit association dedicated to the development and implementation of global specifications to management of supply and demand chains across multiple sectors. Those of you working with barcodes and our ELECTRONIC WAREHOUSE MANAGER app, know about the GS1 Barcode, which is now the barcode style of choice for food service distribution. In fact, just about every barcode now used in foodservice adheres to the GS1 standards. Of course the hard part is determining the proper GTIN for all your items, and then getting access to the GS1 GDSN database. We are now discussing this with a third party who specializes in getting your items assigned the proper GTIN and granting access to the GS1 GDSN database. Stay tuned for more information about this as we firm up the details. Although I've thrown a lot of information at you regarding this, my hope is that you appreciate how important it will be to make this data available to your DSR's and customers. Your customers will never have to ask you for nutritional and allergen info, and you'll never have to hunt down images for your inventory again! Because these GS1 standards are going to be so important moving forward for the food distribution industry, please watch the below video when you have 5 minutes to spare. The video is put out by the "GS1 US" organization and gives a great overall understanding of the information outlined above. Highly recommended for all NECS customers to watch! One of the most common questions we are being asked about version 4 (besides when will it be ready! ), is if it will be compatible with Windows Server 2012 Essentials. 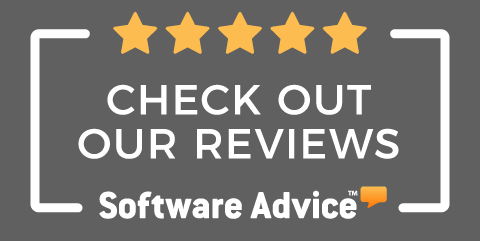 While we are not recommending it for version 3 of entree, version 4 will fully support running on the latest Windows Server 2012 from Microsoft. Windows Server 2012 Essentials (formerly Windows Small Business Server Essentials) is a flexible, affordable, and easy-to-use server solution designed and priced for small businesses with up to 25 users and 50 devices that helps them reduce costs and be more productive. 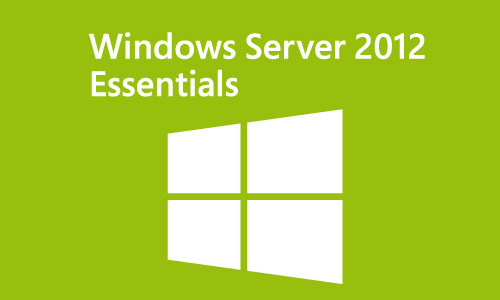 Windows Server 2012 Essentials is an ideal first server, and it can also be used as the primary server in a multi-server environment for small businesses. 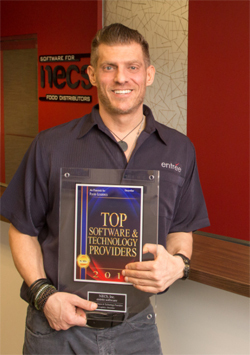 Later this week, we will be pushing out a new release of entree.NET and the ELECTRONIC ORDER PAD. One of the most notable new features is that your DSR's using the ELECTRONIC ORDER PAD can now issue credits on customer orders, as well as create a stand alone Credit Memo. In order to use all the new features of this release, you will need to update your main entree system to version 3.6.17, which should be posted by the end of the week.